Ole Gunnar Solskjaer will be handed a four-year deal as the new permanent Manchester United manager in May. 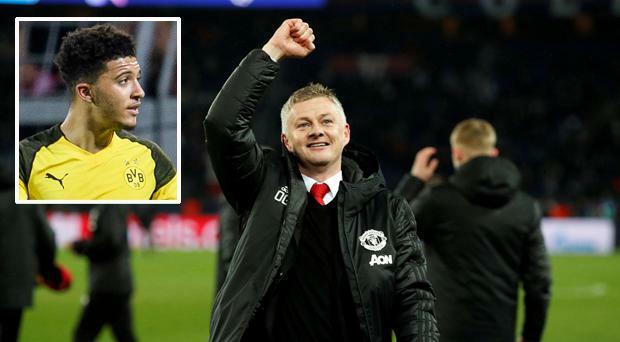 Solskjaer, who worked his magic yet again in beating Paris St Germain on Wednesday night, will be rubber-stamped for the job at the end of the season. All that remains for the board is to negotiate Solskjaer's exit from Norwegian club Molde and agree personal terms with the 46-year-old and his assistant, Mike Phelan. The Norwegian has already revealed that he is working on a number of new signings and United are ready to back him with a massive summer war chest. Summer targets include Napoli central defender Kalidou Koulibaly and Borussia Dortmund winger Jadon Sancho. However, United are likely to sell a number of top names to make way for the youthful talent currently knocking on the first team door. Alexis Sanchez, Matteo Darmian, Antonio Valencia and Marcos Rojo are likely to depart, with young stars like Tahith Chong, Mason Greenwood, Angel Gomes and James Garner being elevated to United's first team. Luke Shaw and Romelu Lukaku are "certain" Solskjaer will be Manchester United's next permanent manager. "I don't think I need to say much after all these results, it looks certain," Shaw said when asked if he thought Solskjaer would get the job. "We all love Ole and we love the job he's done so far. We're enjoying everything that's going on at the moment and the results have shown that. We've had a couple of blips but that's nine away matches [won in a row] now, they're not easy games, but it shows what Ole and his staff have done." Lukaku echoed Shaw's sentiments. "I know he's going to stay, there's no doubt about that," said the Belgium striker, who scored United's first two goals against the French champions before Marcus Rashford's controversial penalty clinched their aggregate win in stoppage time. "He wants to stay, the players want him to stay. He's a young coach, he has young players as well so it's the perfect environment to develop and hopefully win trophies in the future. I think it has been decided. I think he is going to get it, he should get it. What else does he have to do?"